If you're traveling with your RV or camper along Florida's I-75 that stretches north and south the length of the state from the Georgia-Florida state line to Naples and then cuts east to Fort Lauderdale, try any of these campgrounds for an overnight stay. Some are great locations for extended stay getaways or vacations. Campgrounds are listed by exit numbers north to south and then west to east, beginning near the Florida-Georgia state line and continuing into Fort Lauderdale. Exit numbers are based on highway mile markers. Campgrounds listed are no more than two or three miles off I-4 for easy overnight access and were chosen by personal camping experience, observation or positive camping reviews from others. 24004 N.W. Old Bellamy Road, High Springs. 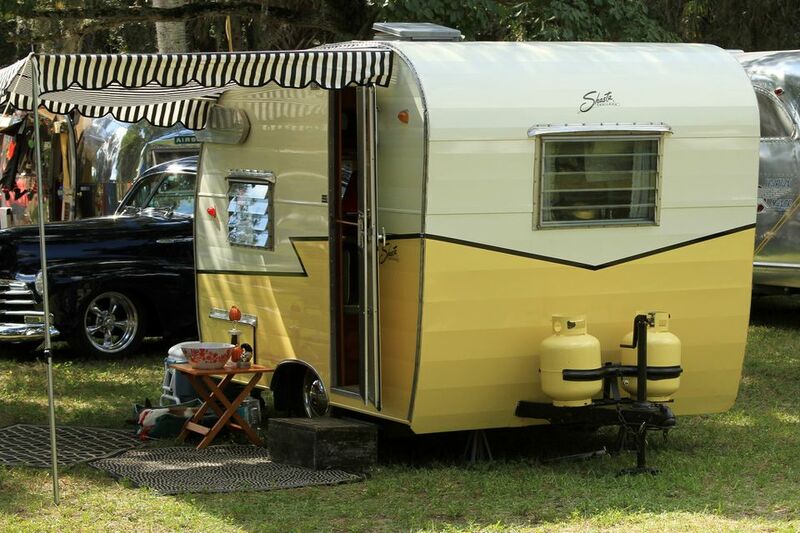 Small, rather rustic campground is perfect for an overnight stay on your way to Central Florida. Close to High Springs antique shops. Pet-friendly modern resort with 9-hole golf course and too many amenities to mention... except for the free WiFi. Modern pet-friendly gated campground in a horse-country setting. Amenities include free cable and WiFi and heated pool and spa. Lots are also available for sale. Located just off I-75 and surrounded by the Withlacoochee State Forest. Amenities include a large heated swimming pool and clubhouse. Very nice, modern and gated campground with your choice of full sun or shaded campsites with concrete pads. Amenities include free WiFi, computer stations, and clubhouse. Not too far from Busch Gardens. The closest campground to Busch Gardens and the University of South Florida. Amenities include a rec center, heated pool, shuffleboard, horseshoes, ping pong and free WiFi. Nice park near Sunshine Skyway Fishing Pier State Park. Amenities include a fenced-in doggie park and heated pool. 55+ RV/park model/land lease community with daily, weekly and monthly rates available. Amenities and activities are planned with the permanent or winter resident in mind. Acres of fishing ponds, lakes, hiking trails are the setting for this beautiful park. Amenities include fenced doggie runs, cable television, WiFi, heated swimming pool, children's splash pool, on-site dining and so much more for very reasonable rates. Beautiful waterfront pet-friendly camping under a canopy of trees. Separate RV and tent areas. Amenities include a large heated swimming pool and spa, clubhouses, exercise room and so much more! This world-class RV resort offers many amenities. Lot sales and rentals are offered with daily, weekly and monthly rates. Just over two miles from I-75, you'll find camping at this tree-filled state park next to the Estero River. This combination resident mobile home park/rv park isn't far off I-75 and seems to offer a good amount of campsites vs mobile residences. Amenities for campers include pet-friendly atmosphere, modern facilities, pool, and wireless high-speed Internet. Amenities include a large mini golf course, heated swimming pool, exercise room, free WiFi and so much more!